"THE BAND. BEST DECISION WE MADE. HANDS DOWN." "The band could not have been any better." "They don't just play. They entertain." Music Garden is a booking agency that provides all styles of bands for events such as wedding receptions, private parties, corporate events, college parties(fraternity/sorority) fundraisers/charity events, mardi gras balls, and festivals. 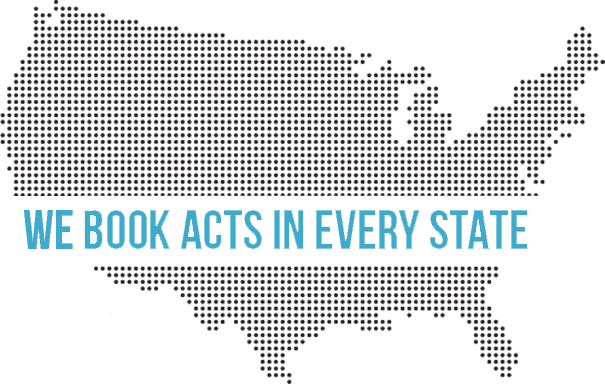 Booking the very best regional bands and national acts, Music Garden books talent at every level of stature in the industry. We have given our stamp of approval to an elite roster of the most exciting and professional bands in the United States. As you view the bands and DJs on our site, you will find that you recognize most of them. Our selection is now the most requested in the south (particularly Alabama, Georgia, Florida, Mississippi, North and South Carolina, Louisiana, Tennessee, and Virginia) . Over the last several years, we have had requests for the bands to play all over the North America! We understand that the band sets the tone for a wedding reception. The band defines the occasion. Quite simply, the reception band is what makes the evening a success. 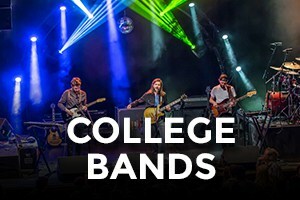 We have been providing bands for social chairs, campus concerts, homecoming parties and alumni parties for nearly 30 years. Music Garden makes the job of the company event planner much easier. Our roster of bands are experienced in entertaining guests at company holiday parties, conferences, conventions, and other corporate events. 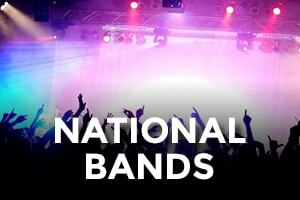 We provide National acts for all types of events. Through the years, we have booked Headliners and support acts for Concerts, release tours, city festivals, large corporate events, and college concerts. No matter what your target audience is, we have acts to fit your needs. 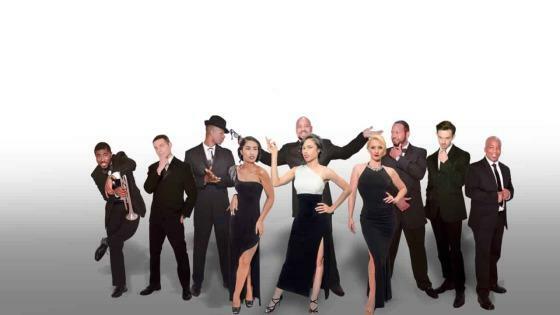 We book comedians, hypnotists, piano players, just about any type of specialty act to entertain for events such as company parties, private parties, and even for casinos. Trotline has become the #1 choice in the south for country to variety parties. Started in the 90s playing clubs and fraternity parties, the Georgia Country band has become a household name. The band has played for celebrities, athletes, festivals, fundraisers, receptions and corporate parties while still remaining one of the top choices on campus! Accent has been playing for company parties, formals and receptions since the mid 90s. Their showmanship and professionalism has made this band one of our most requested bands.Great Alabama Cover Band! This band is perfect for Mardi Gras Balls, Company Parties, Conventions, Fundraisers and other events. The Park Band came together for the first time in the summer of 2008 and has been playing for hundreds of fans since. The Alabama cover band's amazing vocals, unforgettable harmonica, incredible guitar riffs, and hard hitting rhythm section gives The Park Band a sound like no other that has no particular genre but their own. With their energetic performances, they bring fun and excitement everywhere they go. The Park Band is always playing something everyone can enjoy, everything from The Beatles to Journey and Tom Petty to Led Zeppelin. Atlanta’s own Five Star Funk Lounge is second to none. This is the perfect band for any planner or bride who wants to "wow" their guests. Whether your event is in Atlanta, Georgia, Las Vegas, Nevada, Dallas Texas, Napa Valley, California, Palm Beach, Florida Vail, Colorado, Charleston, South Carolina, or any city in the United States, this band will travel! Even exotic locations such as Cancun or Cabo San Lucas, Mexico, Portugal, the Caribbean, Paris, or any other international event- this band can make it happen in a big way. Fountain City Players is a six piece to nine piece musical picturesque adventure into sound, sight, and mind. 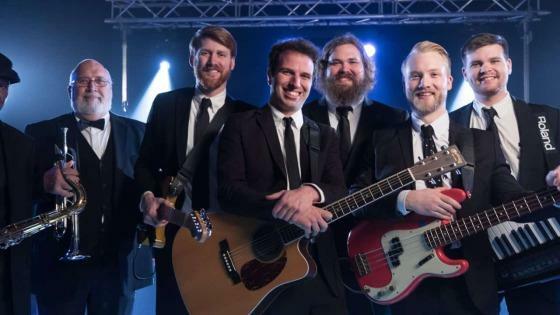 With a wealth of performing experience, Georgia cover band, Fountain City Players and its members collectively and individually have performed in some of the hottest clubs, prestigious wedding receptions and events in the region. Considered one of the best Motown bands in the region! Get ready for a band that is capable of playing the hits from the Swing and Jazz era all the way to today’s Hits! 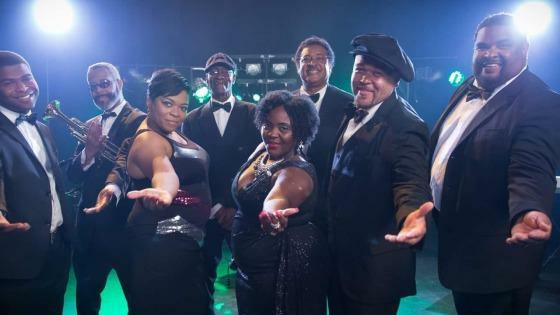 The one objective of this Atlanta, Georgia-based dynamic party band is to bring every guest to the dance floor to show off their moves and transition to a better and stronger tune every four or five minutes until there is nothing left but a fantastic memory. Take three former members of “The Tip-Tops” and add three former members of “Hotwire” and put a couple of new singers on board and this is what you get - one of Florida and Alabama's Hottest bands! From the cities of Mobile, Alabama, Pensacola, Florida, Fairhope, Alabama, and Biloxi, Mississippi, Powerhouse Band is a high energy Dance & Party band that plays Motown, Top 40/Pop, Classic Rock, Oldies and Variety songs - With songs that span 40 years, this dance group is a a great choice to please by entertaining guests of all ages. Assembled in 2003, this party band has taken off and never looked back. Don’t be left out. Ty Reynolds is breathing new life into a timeless sound with his personal brand of reminiscent rock that is brand-spanking new. Backed by a four-piece band, Ty’s soulful singing and pop-inspired guitar riffs grind each melody right into your heart with a definable familiarity that will stick in your head for weeks. Whether they’re jamming on originals or bringing their own brand of mojo to familiar cover tunes, Ty always leaves you wanting more. Atlanta Party Band's name almost says it all but there's even more to know. 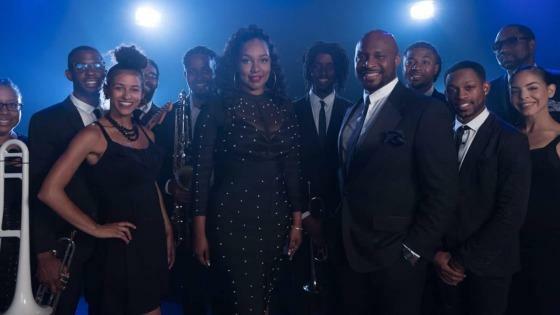 The band leader, a veteran musical-director in the Atlanta, Georgia wedding scene, has put together a group that is custom-tailored to bring an energetic "wow-factor" to your wedding event. They are a dynamic nine piece unit, with multiple singers out front: female and male, plus a five-piece band: keyboards, guitar, drums, bass and horn. You have to see it to believe it. 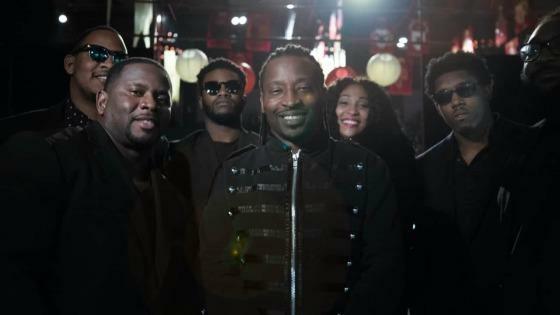 With an explosive chemistry that cannot be duplicated, COMPOZITIONZ has fused rhythm and blues, gospel, jazz and classical genres of music and created a blend that will leave you captivated. 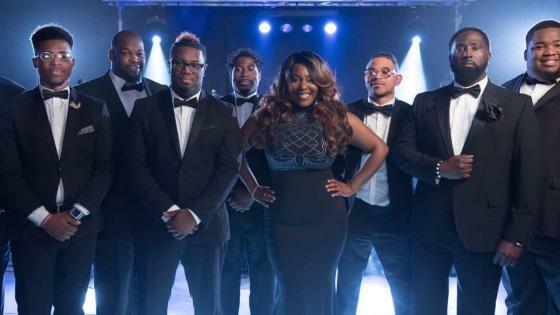 These Jackson, MS natives, having traveled the nation performing with and for such musical icons as Michael Bolton, Grace Bumbry, Cassandra Wilson, Peabo Bryson, Ronald Isley, and an array of artists from Germany, Sweden and Italy. 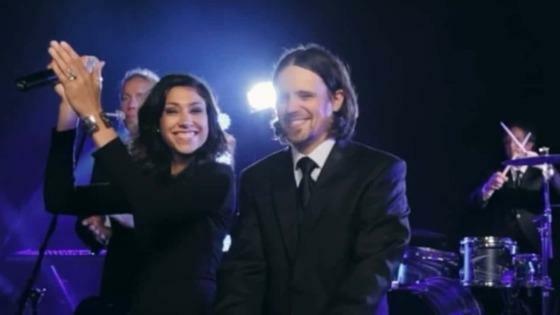 With musicians from the Mobile, Alabama, Pensacola, Florida, Fairhope, Alabama, Daphne, Alabama, Spanish Fort Alabama, and Biloxi, Mississippi, Musical Fantasy has become the first choice for high end weddings all over the region. So far, this band is batting a thousand in getting great reviews from each bride's wedding reception. This wedding band goes out as an eleven member group that is phenomenal at what they do! Musical Fantasy plays a complete variety of music from Big Band era to Hip Hop and Top 40. 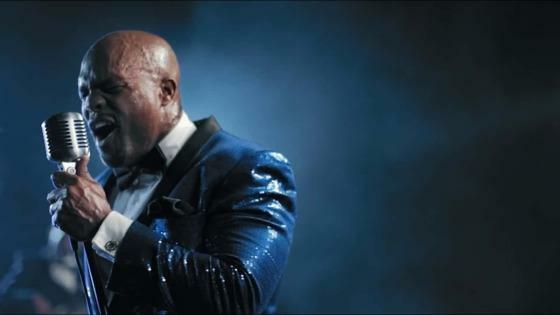 Some of the best vocalists and musicians in the Gulf Coast area assembled to bring some of the best showmanship in the southeast United States. Glowing reviews come back week after week as the band plays over 50 shows per year. 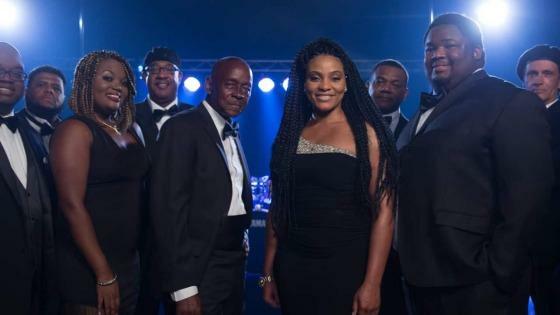 If you are looking for a band that will make your event unforgettable, use 4 Barrel Funk, from Pensacola,Florida, Mobile,Alabama and Biloxi, Mississippi, one of the Panhandle's top motown bands, and dance and party bands. 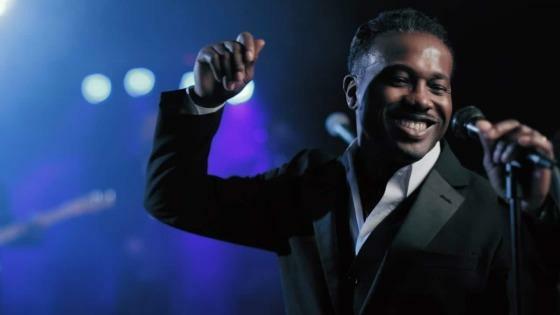 An Alabama dance and show band that has performed hundreds of private events over the last decade, 2nd Coming is the result of the hard work and genius of entrepreneur and front man, Jerome McQueen. 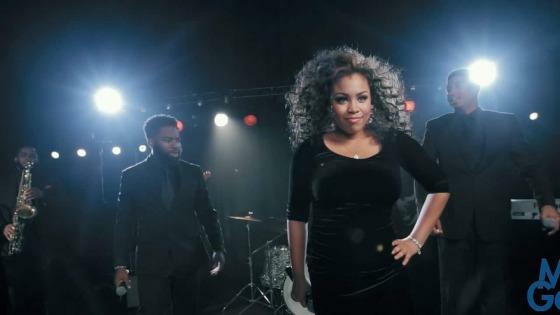 With male and female vocals, horn, and an outstanding band, each member brings all they have to the stage every night. 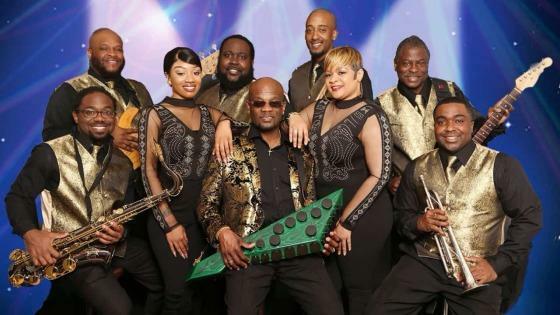 2nd Coming band members, either collectively or individually have played for or with Steve Harvey, Al Green, Usher, Percy Sledge, Four Tops, Alabama, and Commodores. Need the perfect dance band? Look out! Norris Dates and Power Surge has arrived on the party band circuit and this dance and show band is HOT! 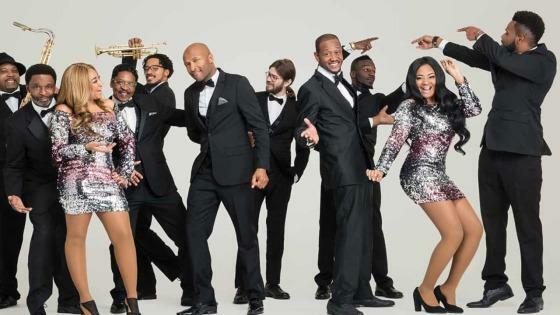 Norris, along with his support cast of rhythm section, horns and front line is full of energy that will keep your dance floor jumping as they play everything from the Classic Standards to R&B, Funk, Motown, Rock, Country, Jazz to Hip-Hop, Motown, Disco, and Oldies to today's Pop Hits. Creativity Band is capable of playing a huge variety of music and will give you a dance and party set that you won't soon forget! One great Georgia cover band! Creativity Band from Atlanta, Georgia is a high energy Dance & Party band that plays Motown, Top 40/Pop, Classic Rock, Oldies and Variety songs. 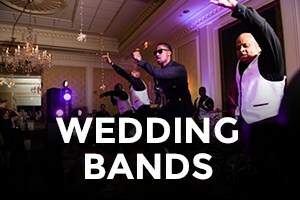 This band is perfect for Wedding Receptions, Fraternity Parties, Sorority Parties, Mardi Gras Balls, High School Proms, Company Parties, Fundraisers and other events. Big Night Dynamite- a Georgia wedding band gets their name honestly because their performance IS dynamite and makes for a big night! 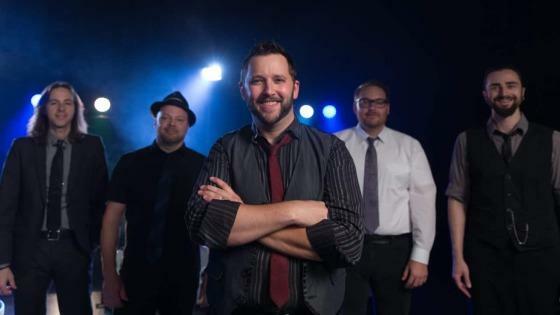 This dance and show Band has three awesome front performers: Two incredible male vocalists who dance with the best of them and Tedra, who is an award winning dance and vocal phenom. Big Night Dynamite's fantastic band has previously traveled with The Temptations, Platters, and Coasters. For a lot of occasions you can add their explosive horn section. Get ready for the Night of your Life! Your reception! 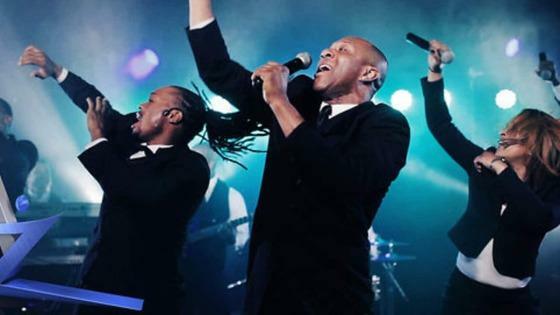 Az Izz is known as one of the most versatile, high energy dance and show bands around. 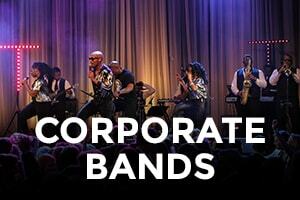 The band has become a top choice for corporate parties and wedding receptions. For quite some time, Az-IzZ was the top choice for Carnival Cruise Lines Corporate shows. 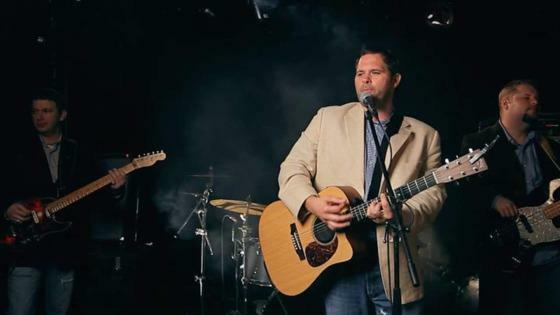 Having played for dozens of celebrities, the band has shared the stage for first dance songs with the likes of Tim McGraw, and Vince Gill. 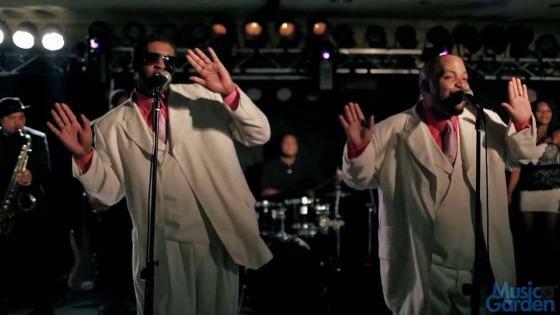 This Atlanta Dance band, The Main Attraction Band is one of the hottest Party Bands in the land today. 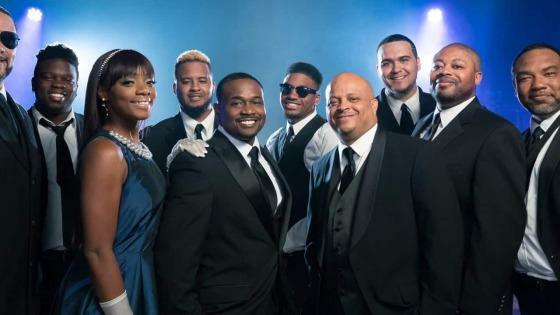 Since 2009, The Main Attraction Band has been wowing audiences all over the southeast with their entertaining show. The band's song list includes Motown Classics, Swing, Yacht Rock, Funk, and Top 40 Hits. Consisting of 5 accomplished musicians and 4 amazingly talented singers/dancers on the front line, TMA is ready to dazzle your guests. Horns can also be added(up to 4) for an extra cost! Call or email Music Garden to book The Main Attraction today.